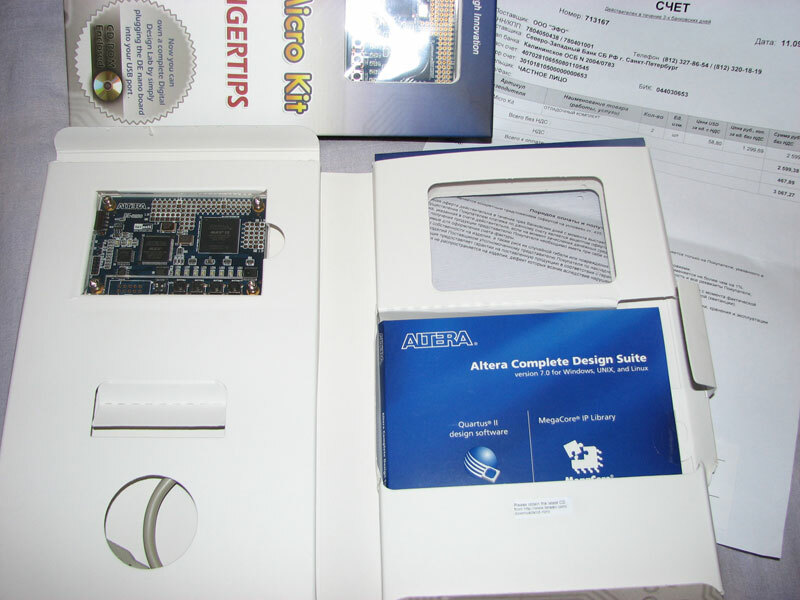 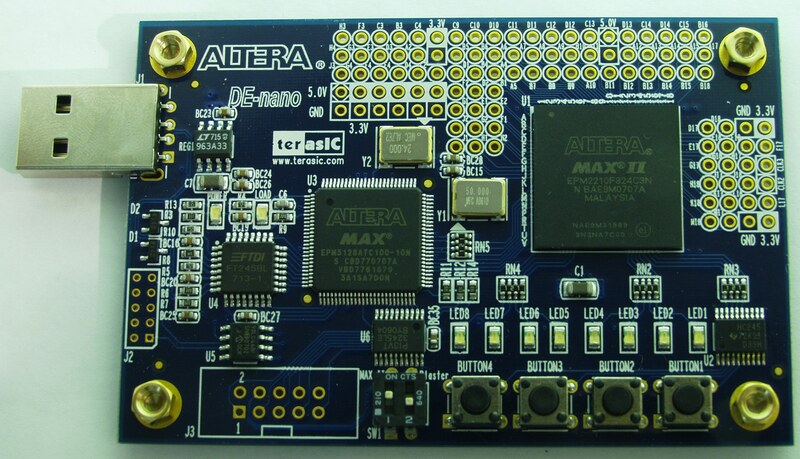 Terasic is well-known vendor for ALTERA FPGA solutions, including various development board and modules. 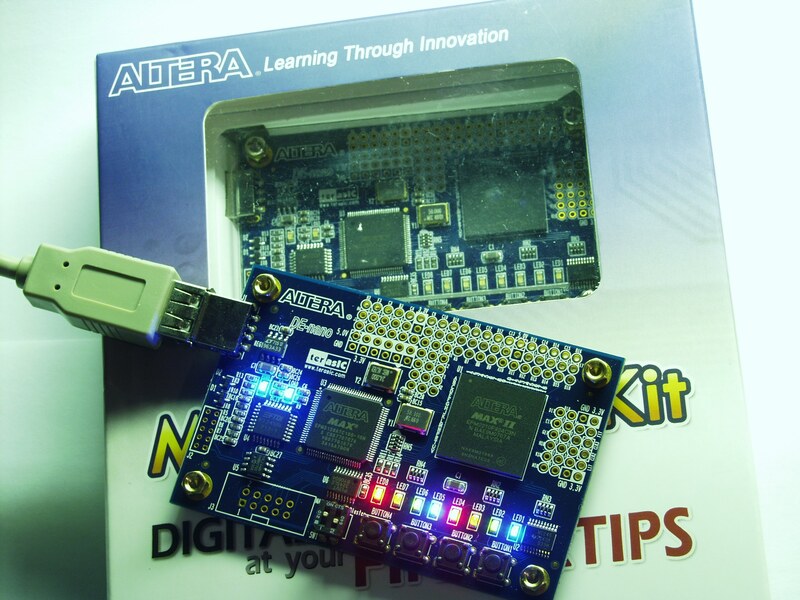 MAX II Micro can be used as a USB Blaster, and programming mode supported depends on the configuration device of Altera board connected to MAX II Micro (Only JTAG programming mode is supported to configure MAX II Micro). 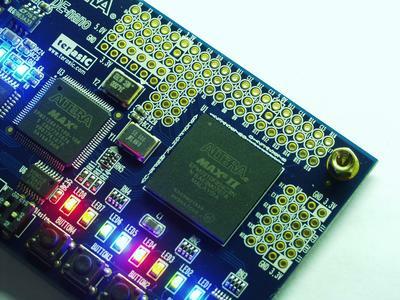 CDROM for Terasic MMK – 3.5MB, contains schematics, datasheets, simple example and control panel app. 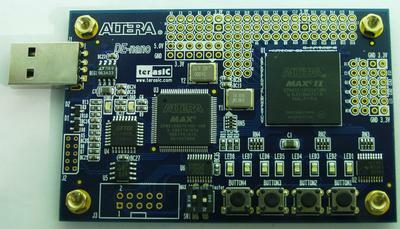 MAX EPM2210 device used is largest LE variant, in BGA256 package. 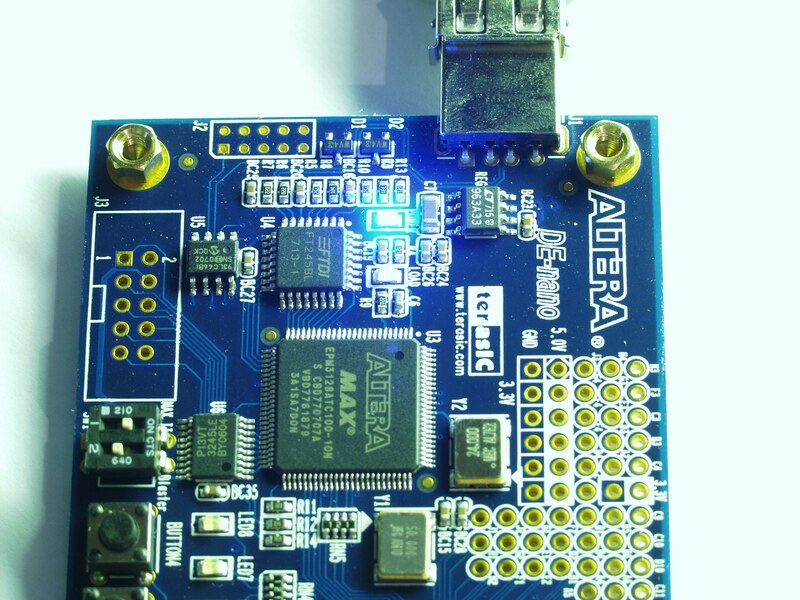 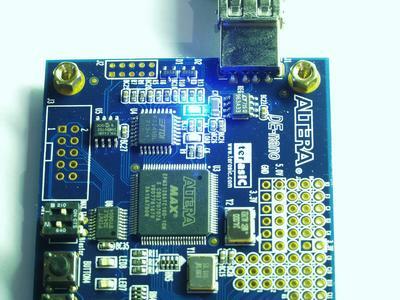 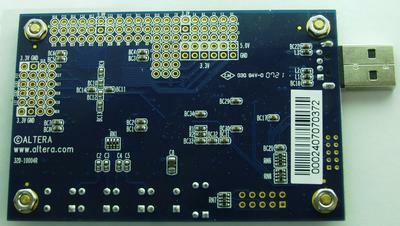 Another ALTERA MAX3128 and FTDI USB chip are used for onboard USB-Blaster implementation. 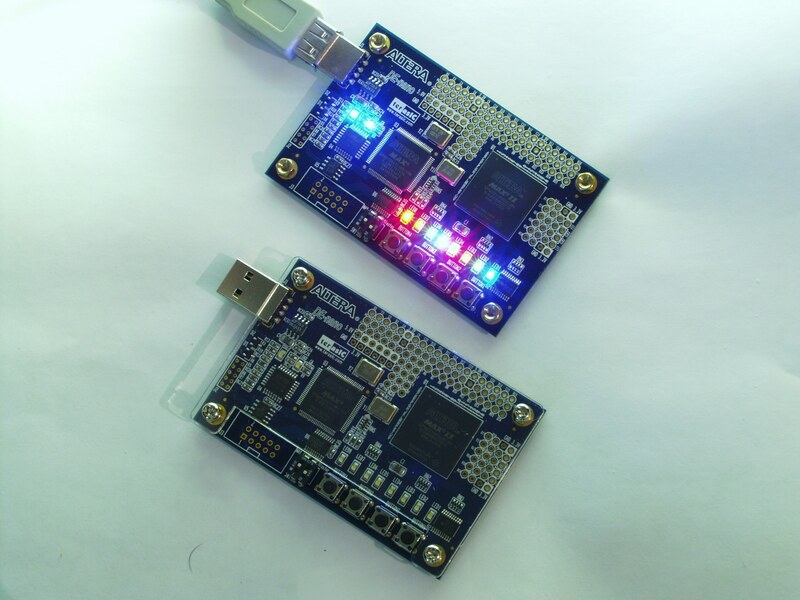 Published: July 31, 2015, 12:55 p.m. 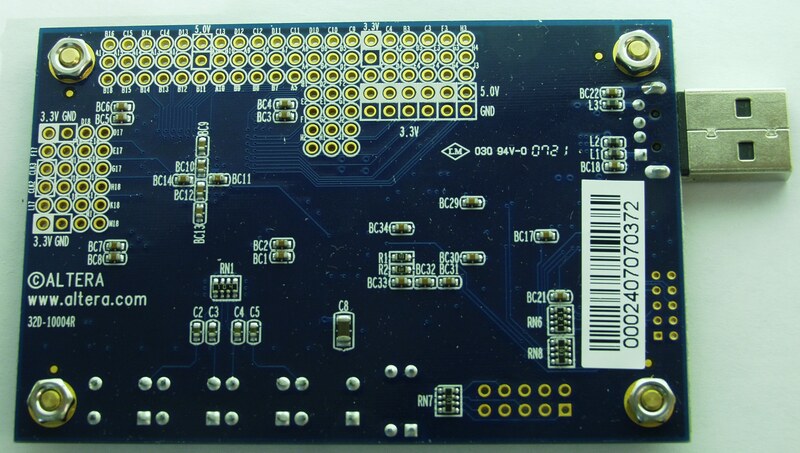 Modified: Jan. 27, 2016, 11:48 a.m.